From goodreads: Sparrow Fisher is transforming. No longer dressed up in antiquated clothes and ideals, she is finally trying on her freedom. Over a five-year span, Sparrow and Ian run into each other in unusual places. Each time, Sparrow has to decide if she can trust him, if he feels the same for her, and finally, if love is really enough. This is an incredibly well written story that will grab you from the very beginning, while it does start slow it doesn’t last for long. Sparrow and Ian’s journey is heartbreaking, touching and incredibly moving. Not only did their journey come to life for me but I was emotionally invested in their courtship, their break-up and everything else in between. 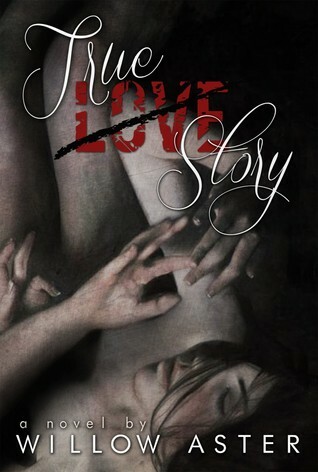 This is a story about falling in love, trust and forgiveness. My goal before reading a book is to only read the blurb and not to read any reviews so I am not influenced unnecessarily. I want to be free from popular opinion whether it’s good or bad because I’d like to come to my own conclusion. I just read all the reviews out there and yes, believe the hype!!!! To say that I enjoyed this book immensely is putting it lightly! Sparrow’s journey to self discovery as a woman during her time with Michael to Ian was done so perfectly that I felt her transformation. I also felt her demise when it came time to recovering from how Ian did her wrong, that broke my heart a thousand times over and it’s that behavior I think we can all relate to in some way or another. What woman hasn’t tried to drown her sorrows when suffering an emotional beating? What woman can’t relate to the oppressive feelings of melancholy? Sparrow is incredibly relatable and I loved her voice throughout this entire book! Ian is your typical broken musician and despite his major flaws, Willow Aster sprinkles his redeeming qualities throughout the story and I loved him as much as Sparrow! While Ian does the unthinkable which is a bit predictable, there is a layer of self-loathing that makes him engage in something he shouldn’t. It’s never easy to watch a train-wreck waiting to happen but Ian has a first class ticket and he showed no signs of getting off at the next exit. Don’t get me wrong, what he does is absolutely awful but he also suffered the consequences of his actions. Those texts, letters, emails…sheesh…absolutely heartbreaking!!! Willow Aster magically weaved the past and present to tell this story and she created characters that are complex and genuine. This is the kind of book that you will read in one sitting because it’s that good! My final two cents: read this book and be prepared to fall in love with everything that is Sparrow and Ian.